The German federal state of Baden-Württemberg is taken as a representative here for all those regions in Germany that are linked with Danube Swabian history. This is for one connected to the migration in the 18th century. Apart from regions in today’s Baden-Württemberg, such as the Swabian Alps, the Black Forest or Upper Swabia – regions like Pfalz, Saarland and areas of Hesse, Bavaria, Austria, Alsace or Lorraine were the typical areas of departure. Reasons for migration 300 years ago often were unsatisfactory living conditions, lacking perspective. For example, the division of land estate had resulted in many families not being able to support their living anymore. On this website, the villages of Görwihl, Dietelhofen and Bad Wurzach are given as examples for such places of departure. Sometimes individual people or individual families migrated, sometimes whole groups of migrants were formed. Most of the colonists embarked on their voyage in Ulm. Therefore, Ulm bears a special meaning for Danube Swabians. 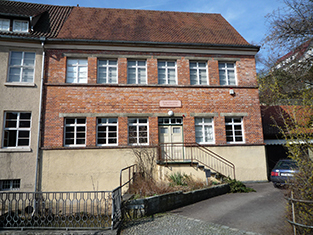 Apart from these migrants, many small towns in Baden-Württemberg have a second connection to the Danube Swabians: after World War II, the Germans from Hungary and Yugoslavia were forced to leave their homes forever. Flight, displacement and deportation brought many of them to the southwest of Germany. Every fifth inhabitant of Baden-Württemberg is a displaced person or comes from a family of displaced people. In 1954, Baden-Württemberg assumed a patronage for the Danube Swabians of Hungary, Romania and Yugoslavia. In many places those “refugees and displaces people” – as these immigrants from the 1950s and 1960s are called – have shaped the community. 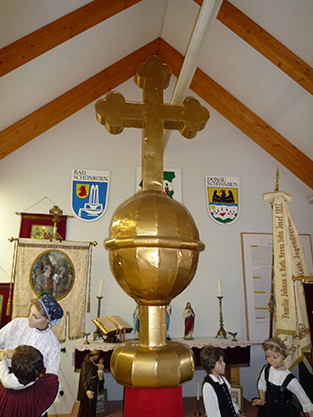 Cities like Backnang or Bad Schönborn have Danube Swabian societies and show their heritage in festivals and museums.